After finally defeating Herobrine and rescuing his father, Stevie is looking forward to putting the prophecy far behind him. Bidding his friends farewell, Stevie returns to the Overworld to make up for lost time with his dad. 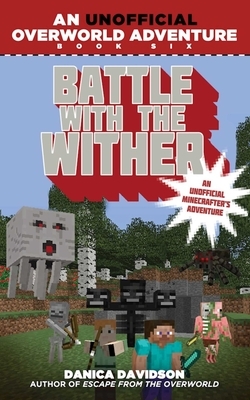 But their reunion is cut short when a Wither attacks the Overworld, destroying their house. When Stevie rushes outside to survey the damage, he can’t believe his eyes; they’re surrounded by deadly ghasts, blazes, and zombie pigmen from the Nether! Somehow, Herobrine has found a way to retaliate from beyond the graveand now the entire Overworld must face his vengeance. In the exciting conclusion to the Unofficial Overworld Adventure series, it’s up to Stevie, his dad, and their friends to restore balance between the Overworld and the Nether, defeat the Wither, andmost importantly of allprotect each other. In particular, this adventure series is created especially for readers who love the fight of good vs. evil, magical academies like Hogwarts in the Harry Potter saga, and games like Minecraft, Terraria, and Pokemon GO.